The February 2014 visiting teaching message is about Jesus Christ being the Good Shepherd. 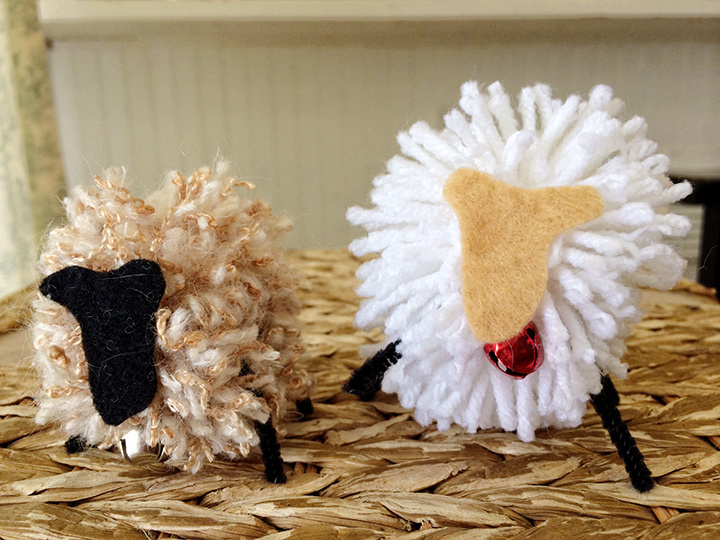 I came across these cute pom pom sheep here, and thought they would be fun to give along with a quote from this month’s message. 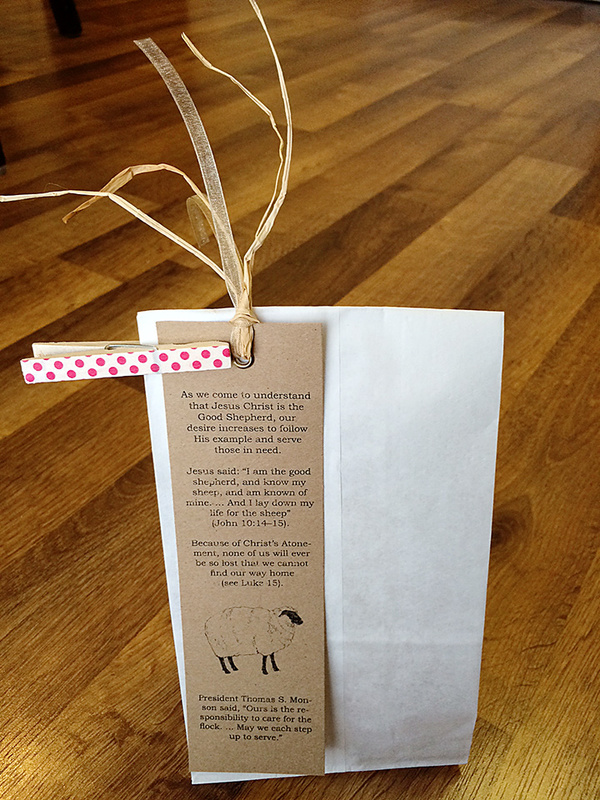 I put the sheep in a lunch sack and clipped on a bookmark with a quote from the message printed on it. I also really love the scriptures included in this message: Psalm 23; Isaiah 40:11; Mosiah 26:21, and might read from one, then talk a little about what it means for us to know that Christ is the Good Shepherd. You can download the bookmark here.